The Board of Directors consists of global health experts and management professionals. In addition to overseeing operations by the Management Team, it also resolves important business matters including approval of major rules, strategic plans, annual operational plans/budget, and funding decisions based on recommendations from the Selection Committee. He served as Assistant Director-General of WHO from March 2007 to May 2015. He led the largest technical cluster comprising HIV/AIDS, Tuberculosis, Malaria and Neglected Tropical Diseases. During his tenure, the morbidity and mortality of these three major infections showed trends of decline, and a few tropical diseases were on track towards elimination and even eradication in case of dracunculiasis (guinea worm disease). Before joining WHO, he worked at the Ministry of Health, Labour and Welfare of Japan. Dr. Nakatani received his M.D. from Keio University School of Medicine, M.H.P.Ed from the University of New South Wales, and Ph.D. from Keio University. 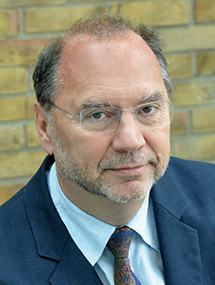 Peter Piot is Director of the London School of Hygiene & Tropical Medicine, and Professor of Global Health. He was also founding Executive Director of UNAIDS and Under Secretary-General of the United Nations (1995-2008), and has served in numerous other international and academic leadership roles. He sits on numerous boards and has received numerous scientific and civic awards, including the Canada Gairdner Global Health Award, Robert Koch Gold medal, and Prix International INSERM, Paris. He was a 2014 TIME Person of the Year (The Ebola Fighters), and received the Prince Mahidol Award for Public Health. 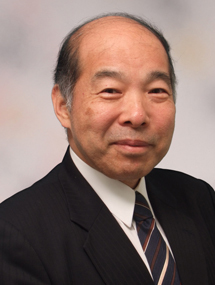 In 2013 he was the laureate of the Hideyo Noguchi Africa Prize for Medical Research. Professor Piot co-discovered the Ebola virus in Zaire in 1976, and led research on AIDS, women's health, and public health in Africa. He was knighted as a baron in his native Belgium, and received an honorary knighthood in the U.K. He has published over 500 scientific articles and 16 books. Catherine Kaseri Ohura is CEO & Executive Director of the GHIT Fund — Previously, she served as the Executive Officer and Unit Head of Japan Commercial Operations & Customer Experience at Bristol-Myers Squibb (BMS) K.K. (located in Japan). She also served as Executive Officer and Senior Director, Regional R&D Operations (responsible for Japan, China R&D Operations) at BMS K.K. At BMS (in the US), one of her roles was the Global Lead/General Manager for the BMS Network of Women (B-NOW). In this groundbreaking industry leadership role, she drove business performance at BMS globally by fostering a more powerfully diverse and broadly inclusive people and business strategy. 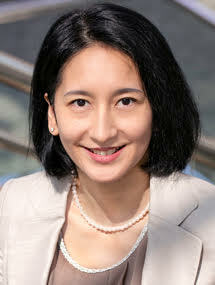 Prior to her role at BMS, Ohura worked in Japanese pharmaceutical company for clinical development, regulatory affairs, quality assurance, pharmacovigilance, and project management. She received her undergraduate degree in chemistry, mathematics, and business from the University of Denver, and a master’s degree in regulatory affairs and quality assurance from Temple University School of Pharmacy. She has completed all but dissertation in the PhD program for Project Management at Capella University and is PMP (Project Management Professional) certified. 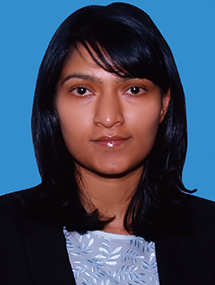 Mahima Datla is Managing Director of Biological E. Over the past 13 years at BE, she has been involved in strategy and has also served as Senior Vice President of the company. She is currently responsible for strategic operations and projects. She drives Biological E.’s engagement with Government of India as well as the DCVMN and has been a GAVI board member since 2011. She is a graduate in Business Administration Management from Webster University, London. 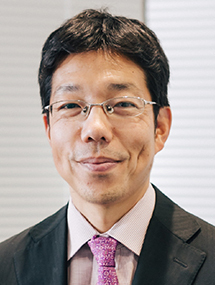 Toru Kajiwara graduated from University of Oxford in 2001 with M.Phil in International Relations, and currently serves as Director of the Office of International Cooperation at the Ministry of Health, Labour and Welfare. Prior to his current assignment, he served as Counsellor at Permanent Mission of Japan to UNESCO (2014-2017) in Paris, and as Deputy Director at International Economy / OECD / European Union Economic Affairs Divisions (2013-2014), as well as the Southeast Asia Division (2010-2012) at the Ministry of Foreign Affairs. From 2006 to 2008, Mr. Kajiwara worked as Advisor at the Office of Executive Director for Japan in the World Bank Group in Washington DC. He was also involved in UN Security Council affairs and African development in his earlier careers at the Foreign Ministry. Mr. Momma worked for the Ministry of Finance (MOF), Cabinet Office, and Ministry of Defense covering various responsibilities including budget, tax, finance, international finance, multilateral development banks, external aid, global health, and national securities issues. He also served as Counsellor, Permanent Delegation of Japan to OECD, and Senior Advisor to Executive Director of World Bank Group representing Japan. He has in-depth experiences and knowledge particularly in the fields of international economic cooperation and development assistance to the developing countries. Mr. Momma currently assumes several positions including Special Researcher at MOF’s Policy Research Institute, Senior Research Advisor at the Institute for International Policy Studies, Vice President of the Association of African Economy & Development Japan, Executive Director of Japan Myanmar Association, and Executive Advisor to Nippon Life Insurance Company. Manabu Sumi has worked in Japan's public health and global health arena over several decades. Currently, he serves as Director, Global Health Policy Division, International Cooperation Bureau, Ministry of Foreign Affairs (MOFA), the position he has held since July 2017. 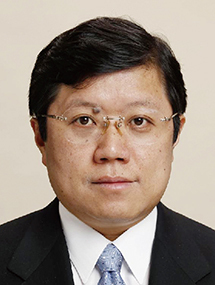 Prior to joining MOFA, he was engaged in public health affairs in the Ministry of Health, Labour and Welfare and Ministry of Environment of Japan, which involved the revision of the medical payment system, food safety, mental health, environmental health, and international health. 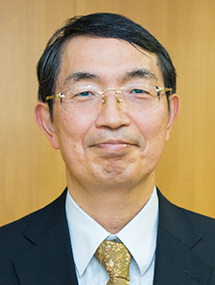 He has also served as Director of Cancer Control and Health Promotion Division, Health Service Bureau (2011), Director of Office of International food, Department of Food Safety (2012), and Counselor of the Permanent Mission of Japan to the United Nations (2014). He received both medical and doctoral degrees from Nagoya University, and a master’s degree from Harvard School of Public Health. 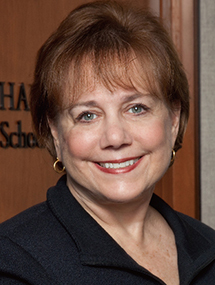 Ann M. Veneman has a distinguished career in public service, including serving as Executive Director of the United Nations Children’s Fund (UNICEF) (2005-2010) and as the United States Secretary of Agriculture (2001-2005). Ms. Veneman graduated from the University of California, Davis, received a master’s degree in public policy from the University of California, Berkeley, and a juris doctor degree from the University of California, Hastings College of the Law. In 2009 she was named to the Forbes 100 Most Powerful Women list. Hikaru Ishiguro serves as Statutory Auditor at INSPiRE Corporation, among other board positions. He is a graduate of the University of Tokyo and holds a LLM from Harvard Law School. 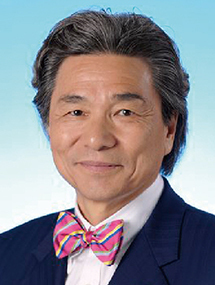 Starting with Sumitomo Bank, he worked with a variety of global financial institutions and also served as President of Health and Global Policy Institute. Mr. Ishiguro became Comptroller of the University of Tokyo in 2004 and served in this role for 8 years. He is a member of the New York Sate Bar Association. Professor. 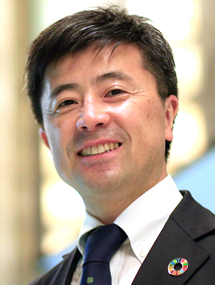 Ko-Yung Tung is an international lawyer, with extensive experience in both the public and private sectors. He has served as Senior Vice President and General Counsel of the World Bank, where he was instrumental in establishing The Global Fund to Fight AIDS, Tuberculosis and Malaria, and the Secretary General of The International Centre for the Settlement of Investment Disputes (ICSID). 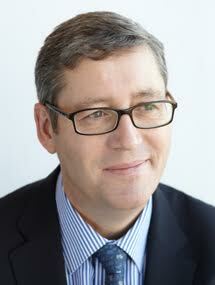 He is Lecturer at Law at Harvard Law School where he teaches a course on international law. He practiced law at the international law firms of Morrison & Foerster, O’Melveny & Myers, and Debevoise & Plimpton. The GHIT Board benefits particularly from his expertise in international organizations, development and corporate governance. He received his undergraduate degree in physics from Harvard University and his law degree from Harvard Law School, and did graduate studies at the University of Tokyo, Faculty of Law. Standing Committees of the Board are established to serve specific functions. Reviews audit reports with the auditor and ensures that appropriate internal controls are in place. Helps to review GHIT’s portfolio and determine strategy for future Requests for Proposals. Review and critique strategies that solidify introductory plans for new products. Reviews CEO and COO performance and makes recommendations regarding annual compensation and bonuses to the Board of Directors. Confirms whether GHIT is being managed in accordance with its policies. 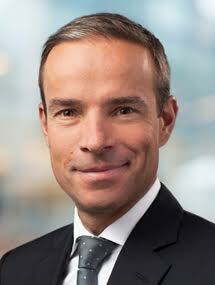 Creates succession plans for the Chair of the Board of Directors and CEO. Proposes Board member succession plans and priorities for future composition to the Board of Directors and the Council.